You're sitting on the steps of the Walker Library, looking south down Hennepin Avenue. The marquee for Calhoun Square is in the center of the frame. The cross street is Lagoon. 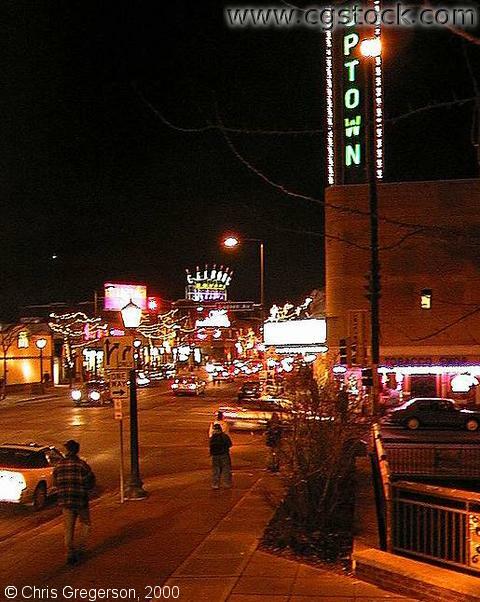 The Uptown Theater marquee is in the upper-right.